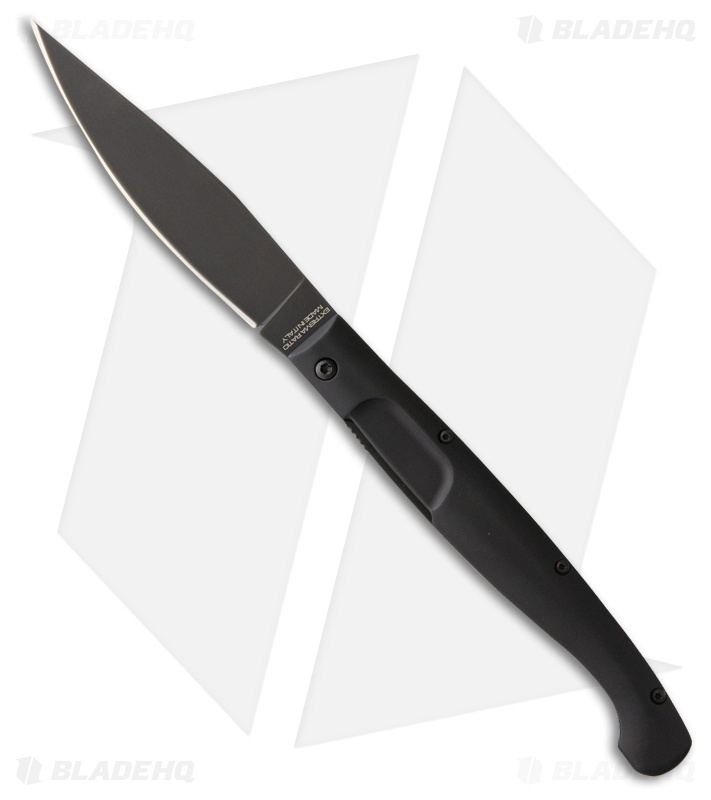 The Extrema Ratio Resolza Black liner lock knife with its long stainless steel clip point blade and black aluminum handle easily pierces tough materials. The 4.75" blade made from Bohler N690 stainless steel with a black non-reflective coating takes a fantastic edge that is easy to maintain. Black contoured aluminum handle is comfortable in hand while providing excellent grip on the knife. A sturdy liner lock keeps the blade in the open position, ready for years of reliable use. Durable Bohler N690 stainless steel for excellent performance. Non-reflective black finish for stealth and surprise. 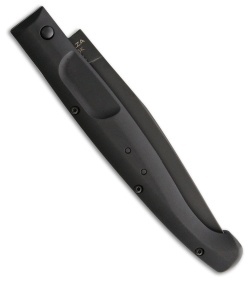 Black contoured aluminum handle for tough and lightweight construction.